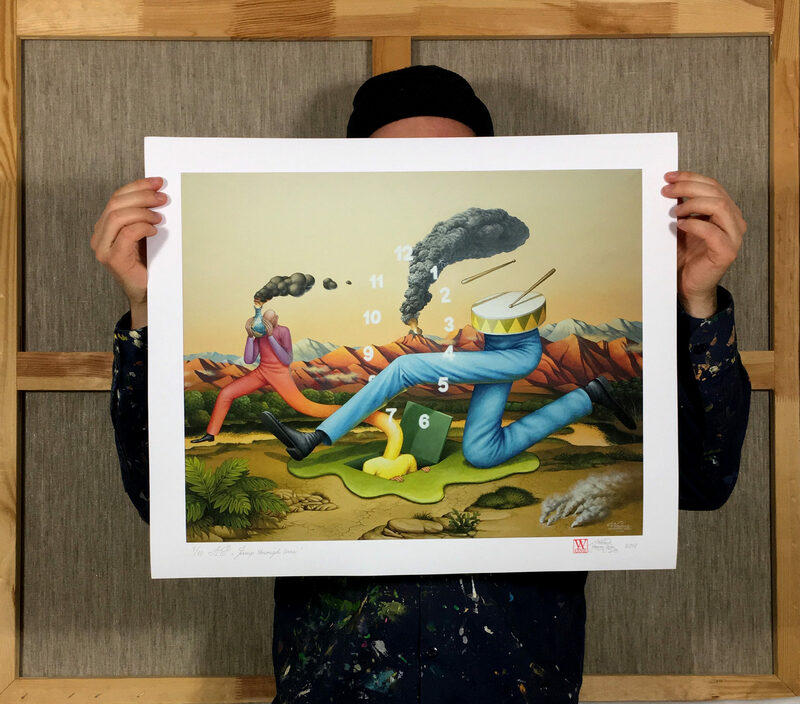 Order Waone x ZIR limited edition AR-print with free shipping around the world. Download ZIR app for iOS and point camera at image below to see how it works! "Jump Through Time" is a metaphor about time travel, about the particular moment when your mind is racing so fast that you see the results of chains of numerous activities, and can slow down time. As his name says, WAONE Interesni Kazky (translates into "Interesting Tales") creates images where the spiritual and imaginative meet everyday reality. Inspired by surrealist painters, Ukrainian folk history, and fairytales, his art is a product of fantasy visualized through the style of contemporary muralism. "The main goal of my art is to find out who I am and explore the outside world. The lens of the creative process gives me the ability to shift focus away from the vanity of common life and tap into stranger invisible worlds to reflect on the origin of entire existence."